Otto von Guericke was a German scientist born in the town of Magdeburg, Germany. He is best remembered for founding the physics of vacuums. In 1650, Otto invented a vacuum pump that was designed to pull air out of whatever vessel to which it was connected. It contained a piston and an air-gun cylinder with one-way flap valves. In many subsequent experiments, he used it to study the effects of vacuum. The most famous involves two copper hemispheres, closed tightly with the air pumped out of them. On May 8, 1654, in front of the Holy Roman Emperor, Guericke harnessed fifteen horses to each hemisphere and showed that they could not be pulled apart. In 1663, he repeated this experiment in front of the Duke of Prussia with twelve horses to each half. If the air were completely sucked out of the sphere, the resulting force would be around 4,500 lbs, enough to lift a small car. The surrounding air pressure would have shut the halves tightly and prevented them from being opened. These experiments disproved the theory of “horror vacui”, which was the predominant theory for centuries. This theory, which was introduced by Aristotle, stated that “Nature abhors a vacuum” and therefore a vacuum cannot exist. The Roman Catholic Church backed this view and it was therefore rarely challenged. One other experiment Otto performed was to hang the sphere, after the air was removed, and attach weights to it. The hemispheres still did not separate. The Magdeburg hemispheres are still used in classrooms today to demonstrate the air pressure. Gaspar Schott transcribed this experiment, and his book was read by Robert Boyle. He used those principles to improve the air pump and formulate the beginnings of the ideal gas law. Guericke also pioneered the use of the barometer, a device used for measuring atmospheric pressure, in predicting the weather. This was the forerunner of meteorology. His later research focused on electricity, but it is unfortunately lost to history. There is an Otto von Guericke Society that has repeated the famous experiment in many places around the world. 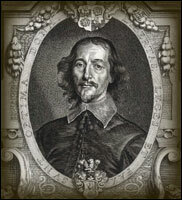 Otto von Guericke died on May 11, 1686 in Hamburg, Germany. The university in Magdeburg is named after him.